Happy New Year Blogger Template is 100% fully Responsive theme that comes in two different layouts like OnePage and Portfolio Blog. Happy New Year Blogger Template is 100% fully Responsive theme that comes in two different layouts like OnePage and Portfolio Blog. It is stylish, Magazine, Responsive and Entertainment Base blogger template. This theme is very ideal for those who want to show instantly message to their readers and customers on special celebrating day. Bloggers and Photographers may use this theme in a situation when their work are still in pending and want to leave a deadline message for their customers on a website. A well jequery Count Down Plugin has been installed in the template which would help to display a Timing Watch and Social Icons widgets. 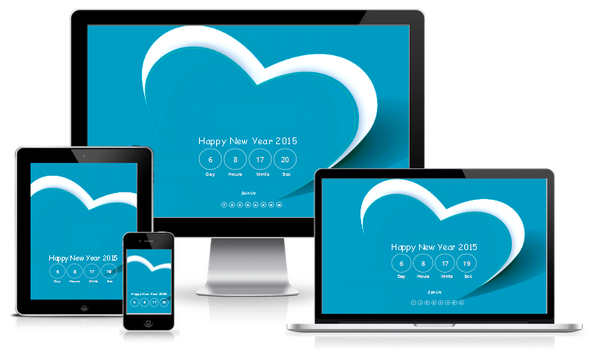 100% Responsive Layout: Happy New Year Blogger Template is fully responsive theme like our previous released Authorism theme. 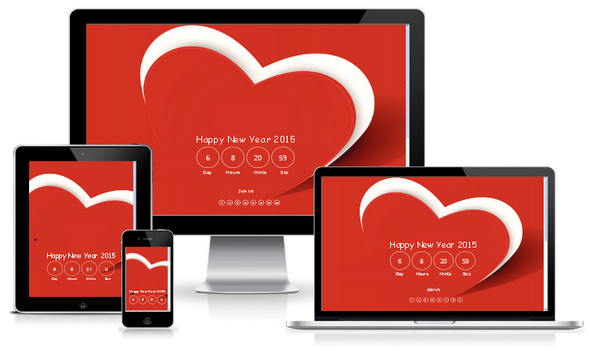 It is more creative and has flat design give perfect resolution on every device screen. This theme compatible to work with almost every popular browser like Mozilla, Firefox and the latest internet explorer. It give awesome result on mini devices like tablet, mobile and Ipad. 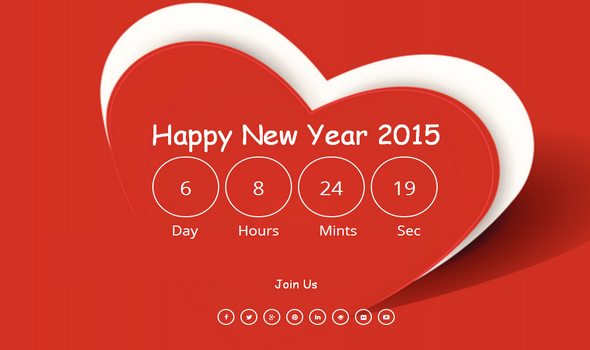 Happy New Year Layouts: Happy New Year comes with two different layouts like our previous Authorism Theme. It solely depend on you that which layout would fulfill your requirement you want for your site. You do not need not download theme separately both of theme are placed in a zip file. Jquery Count Down: We integrated a professional less jequery code Count Down Plugin that would help to display the timing watch you set in the template. If you want to set the specific celebrating day timing, you can easily do that or contact our team to do. Portfolio Design: This theme is not only limited to display the count down plugin but you can get a complete Design Portfolio Blog section that would help you in displaying the latest and recent posts. So it is proved that you cant not only use this theme on such special celebrating day but you can use it as personal blog too. Responsive Navigation: Another awesome feature is added in this template. Below Count Down you will get a responsive menu like DesignFlex theme menu that that would help to interlink all your pages with one another and will give perfect view on every device. Enjoy Liquid navigation. 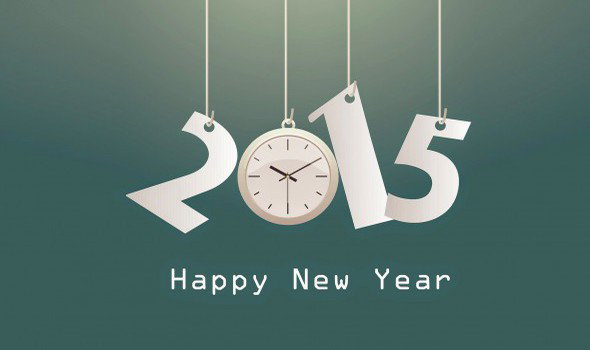 We Hope, you have found this theme for Happy New Year 2015 celebrating day. We are confidently say, this theme would be your next choice for your next upcoming vocation, celbrating day. If you face any problem in the template, do not hesitate to send us your queries via contact us page.